Dr. Cranley’s research aims to improve the quality of health care delivery to older adults in long-term care. 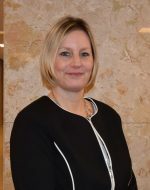 Her research is focused in knowledge translation, particularly in the area of developing strategies to facilitate and support healthcare providers’ decision-making and use of best practice knowledge and other forms of evidence in their daily care. Dr. Cranley uses qualitative and mixed methods approaches in her research. Dr. Cranley is an Assistant Adjunct Professor with the Faculty of Nursing, University of Alberta and holds a cross-appointment (status only) with the Factor-Inwentash Faculty of Social Work, Institute for Life Course & Aging, University of Toronto. She is also cross-appointed as Assistant Professor, to the Institute of Health Policy, Management and Evaluation at the University of Toronto. Dr. Cranley's PubMed link is available here. 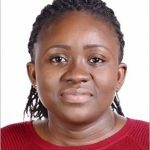 Diana’s research interests are in exploring the readiness of staff nurses to provide age-appropriate care for older adults in Ghanaian hospitals. 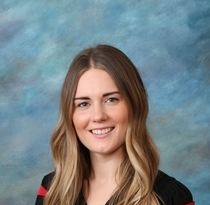 Danielle’s research interest is in exploring the role of the personal support worker in providing palliative care in the long-term care setting to improve the quality of life for older adults.